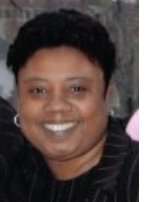 Sherri L. Washington, 53 of Charleston, West Virginia departed this life May 17, 2018 due to a short illness. She was born September 26, 1964 to parents Roosevelt and Elaine Washington in Charleston, WV. Sherri was preceded in death by her father, Roosevelt Washington and brother James Gregory Washington. She is survived by her mother, Elaine Washington, daughters, Fawn E. Washington and Joetta Pharr, all from Charleston, WV, sister, Donna E. Abernathy of Las Vegas, NV and longtime companion Louie Pharr.